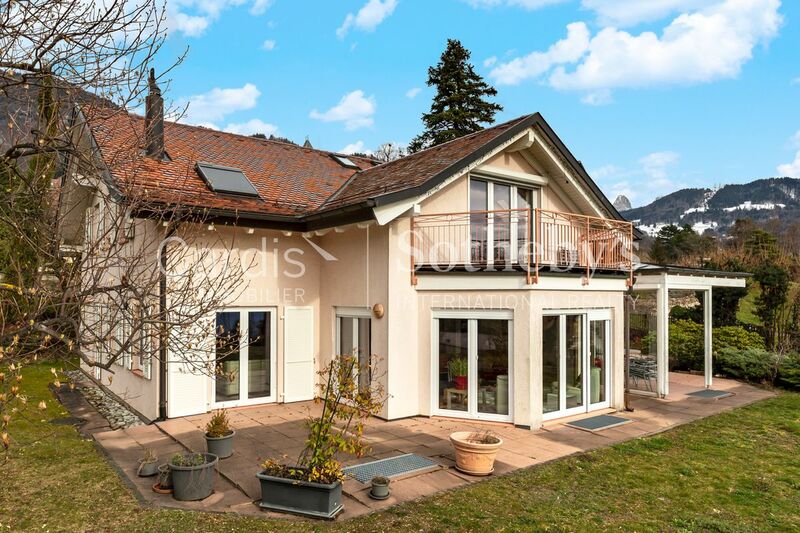 The house of your dreams is located in the heart of a residential area of the charming village of St-Légier-La-Chiésaz, close to shops, 2 minutes by car from the Collège de Clos-Béguin and 3 minutes from the international bilingual school "Haut-Lac". To facilitate your travel, a bus stop is only 400 metres from the property. Built in 1998 using very good quality materials and maintained with the greatest care by the current owner, this individual villa is in perfect general condition and offers exceptional services. Entirely excavated and distributed on 2 levels, this magnificent 6.5 room house has a living area of approximately 240 m². The living room, which is located on the lower ground floor, has generous spaces. It is also decorated with a pretty wood stove that provides a warm atmosphere. 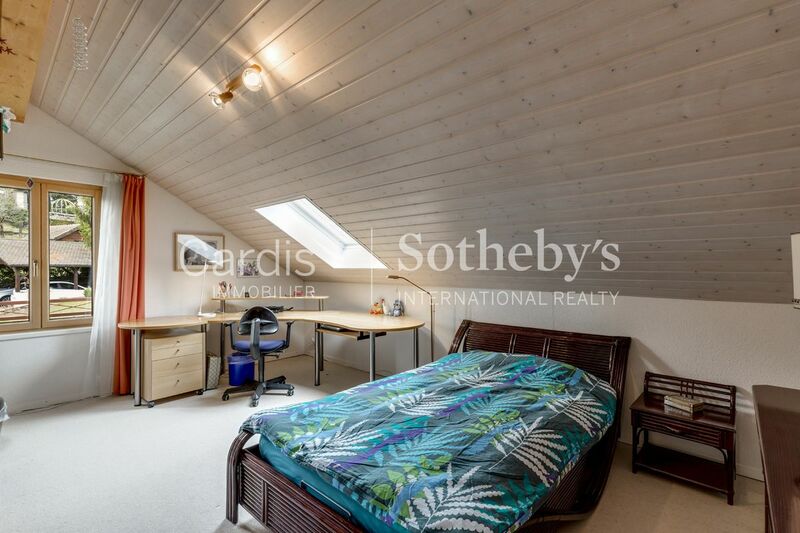 Due to its south-facing orientation and large bay windows, this property enjoys optimal sunshine all day long. Located on a largely flat plot of land of about 1'700 m², the residence enjoys a stunning view of the lake and the surrounding mountains. Its exterior includes two covered terraces, a spacious garden and a balcony on the upper floor. 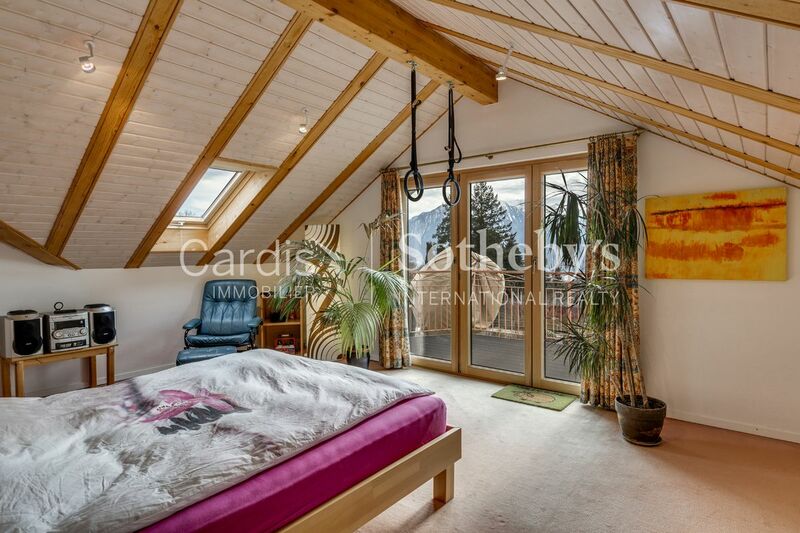 A spacious garage for 3 cars and several outdoor parking spaces complete this property.